A 15-year-old Louisiana girl, who went missing for over a week with an older man was found Friday, police said, and the suspect was taken into custody. Cory Shane Disotel is pictured in this undated photo released by Port Barre Police Department. Domeanna Spell, of Port Barre, was last seen getting off the school bus on March 28 around 7 a.m. by Port Barre High School and was believed to be on the run with an older man in a 2003 silver Honda Civic, police said. 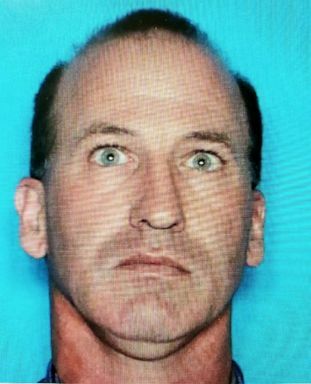 The suspect was identified as 47-year-old Corey Shane Disotel. On Friday, Disotel and Spell were located in 1,165 miles away from her school, in Pagosa Springs, Colorado after her cell phone pinged off one of the cell towers in the area, said Undersheriff Derek Woodman with the Archuleta County, Colorado's Sheriff's Office. One of the county deputies spotted the reported vehicle Disotel was driving and followed it to a parking lot of a local grocery story on County Center Drive, said Woodman. Disotel was taken in to custody and Spell was deemed safe, said Port Barre Police Chief Deon Bordeaux. "This was a joint effort with our agency, the FBI, US marshals, state police, St. Landry Parish sheriffs office and many other agencies and organizations, working tirelessly and fervently," said Bordeaux. "We are so thankful that the hard work paid off and the end result was this girl was found safe." Disotel is currently held in a Colorado jail on charges of delinquency of a juvenile. The FBI is also pending charges against Disotel. Archuleta County Sheriff's Office is expected to hold a press conference on Monday morning.